I appreciate personalized marketing just as much as the next marketer. Segmenting people and talking to them based on who they or what they’re interested in? Way better approach than just blasting the same message to everyone. But we’ve all seen companies get a little too carried away. 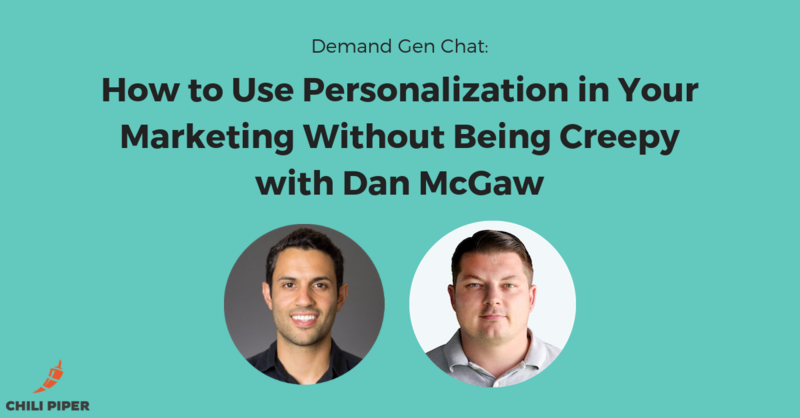 This is one of the highlights of my recent chat with Dan McGaw, CEO and founder of Effin Amazing. Dan and his team work with companies like Eventbrite, Masarati, Wistia, and Frame.io to help them build the perfect analytics and marketing automation stack to execute on their strategies. They’re doing a lot of interesting things with their automation that you’ll want to tune in for. The great debate of first touch vs last touch attribution – how should you setup your attribution model and what are some tools that can help? Do content upgrades and gated content still work?